1. The Scorpio Birthstones: The Malachite and the Turquoise: A Scorpio individual has a magnetic, intense, and transformative personality much like its birthstone the Malachite. Wanting to know and feel all that is beneath the service, the Scorpio soul will delve as deep and fly as high as it needs to in order to see the truth. With the Malachite by its side, there is little doubt that its goal will be achieved. The Malachite has the potential to bring about transformation on multiple levels by unblocking insights trapped in the Scorpio signs subconscious and by bringing them to light. 2. 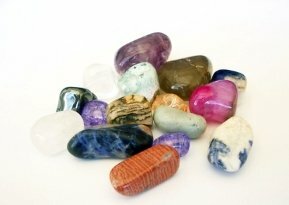 The Topaz, Hawks Eye, and Charoite Potential: The Scorpio individual has the potential to be an exceptional leader  understanding what makes others tick and being unafraid to go where others might hesitate. The Topaz would be an ideal stone for the Scorpio to carry with him on his soul journey. It is the stone that can help him attract the very people he needs to support him on his path. The Hawks Eye, on the other hand, can assist the Scorpio leader by broadening his vision and connecting him to his inner intuition, thereby enhancing his potential for great leadership. Last but not least, we have the Chariote. The Chariote connects to the Scorpios healer energy. It enhances the natives ability for insightful analysis and can foster the healing process, both on a personal and collective level. symbolically quite appropriate for the Scorpio soul. A passionate individual with an insatiable sexual drive, the Scorpio sign individual could benefit from the presence of the Sceptre Quartz because it can help him transform a sexual act into a spiritual reawakening. What could be more magnificent than that?